Teaching immigration is not just an ESL issue. Teaching immigration could easily fit into the curriculum of ANY classroom if we think about the issue in terms of government policy, human rights, activism, human stories and narratives, movement, migration, economics, jobs, taxes, and cause and effect. Here are a few links to get you started thinking about the topic in general. Even if you do now see yourself teaching this topic, I highly recommend a read of at least the first link! 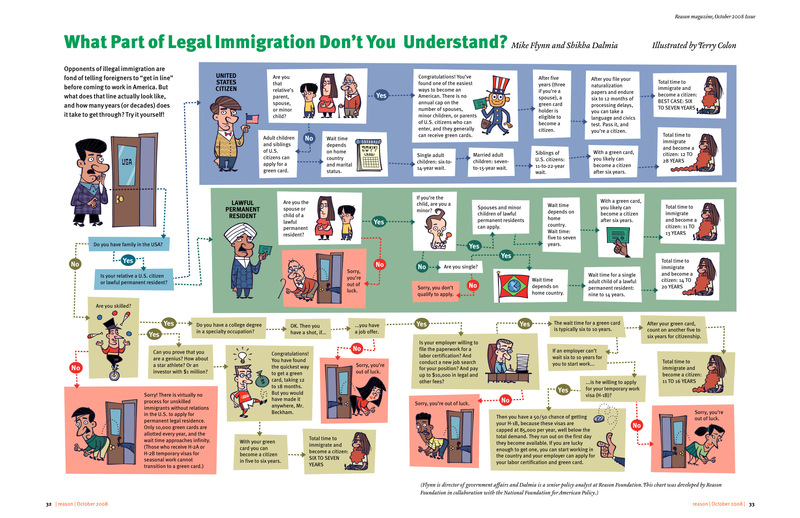 Comic Captures What it’s Like to Spend a Decade in Immigration Limbo Do you know what it takes to become a citizen in the US the legal way? Scroll down to the bottom of the article to watch Juana describe the experience in cartoon. What Part of Illegal Immigration Don’t You Understand? Obtaining legal citizenship is more mysterious than the Bermuda Triangle. This infographic attempts the best explanation I have seen, and in the very least, you get a sense of the experience so many are faced with. If you clicked here looking for my ED565 workshop presentation, you can either scroll down my blog feed for the link OR click here to go directly to my post with the links. As part of my professional learning this summer, I attended my first EdCamp at the Downingtown STEM Academy last week. My take-away is that every educator should be REQUIRED to attend an Edcamp once a year. I walked away so inspired, energized, and valued and I want to share a few of the highlights with you! EdCamp Calendar & Sign-Ups If you have never heard of EdCamps before, I recommend you start here to read about them. This link also contains a list of upcoming EdCamps and links to sign-up. I recommend checking back this fall for more local dates. EdCamp Downingtown GoogleDoc During each EdCamp, attendees take notes on a collaborative GoogleDoc, which allows those who couldn’t attend also benefit from the collaboration! Click on the link in each session you are interested in to read the GoogleDoc notes on that session. Graphite.org This is a resource that was discussed in my Makerspaces session. It not only gives you great recommendations for how to utilize Makerspaces, but it also provides projects that tie to your area of curriculum. The Extraordinaires Design Set If you are new to Makerspaces, like me, this design kit was recommended to me as a great place to start. All of the planning and preparation is in the box, and is relatively cheap (hopefully you have a modest teacher budget from your district!). Worlds of Making This is a book that was spoken very highly of by both teachers in the Makerspace and PBL sessions. I have not bought it yet, but it looks like a fantastic starter guide for Makerspaces and project-based learning. KQED DO NOW Allow students to explore and answer controversial topics, and give their responses an authentic audience through the KQED DO NOW activities. I linked to the KQED #2nextprez DO NOWs because I think it is best worth your click. I learned about #2nextprez in Arcadia’s #ED677 course. Issuu.com This website allows users to upload multiple Word or PDF pages and it publishes them to look like an online magazine. This FREE service is another perfect way to publish your students’ work for a greater audience. Unique & Equal This past semester, I used Issuu.com to publish my ESL Intermediate’s classroom magazine. The magazine was completely student-driven and student-created. We shared the link to the magazine out on social media and got meaningful, positive feedback from all over our district! Twitter in the Classroom Finds! What I love the most about technology in education is the opportunities it presents for my students to publish for authentic audiences! One such site I just found is Instructables.com. On this site, students can follow instructions to create a project, or they can create and upload their own project instructions! Issuu.com is another FREE site where you can create documents and then upload them for free public view on the web. My students are currently creating a classroom magazine that we will distribute digitally as their final project via Issuu. Being able to publish on the web is a privilege that comes with the responsibility of digital citizenship. I think that digital citizenship is two fold: students must know how to responsibly post online and know how to access and evaluate credibility of other users’ posts on the web. I love the idea of using Snopes.com stories and asking students to investigate online and report back whether it is true or not.